The Rangareddy district has 415-gram panchayats while electricity is used for streetlights, borewells and water utilization for consumption of water is a must. These categories are around the district inclusive.There are 5,200 power outlets expected. There are about 2,000 connections in GHMC, city panchayats and municipalities. There are bills related to electricity consumption regularly the governing bodies pay. The remaining 3,200 connections are in the villages. There are panchayats in the state where regular electricity consumption is going to bills. Previously The government is paying the electricity bills. All of the burden of falling into the panchayat is a few years ago. To pay bills in the form of home tax and other taxes Clearly, there is no difficulty since then. Taxes in most panchayats are getting cheaper. This led to the payment of electricity duties. 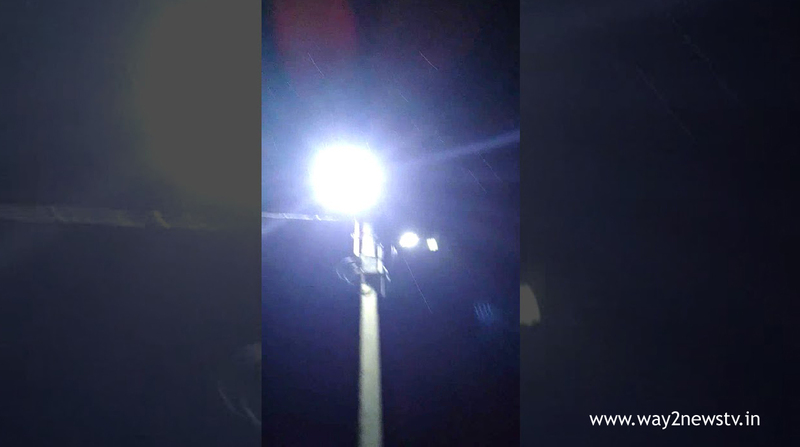 Streetlights in villages,sarpanch, and panchayat secretaries are concerned that signals from power officials are being stopped to stop power supplies for drinking water. Coming to the villages Funding does not work for development. At the same time, the sarpanchs are bent on the bills of electricity. It is estimated that nearly Rs 210 crore has been disbursed from the eighties throughout the district according to officials, in the same year, around Rs 31 crores of bills have been allocated within the scope of the Circular City, Rajendranagar, and Cyber City Disk Circles. In the cyber city, Only paid. Electricity staff refused to pay the dues and returned to the sarpanchs and panchayat secretaries of their villages. Notices are being issued. Ibrahimpatnam DivisionThe arrears in the shrine, mangals and ebrahimatnam zones within the range have reached Rs 19 crore. The Discum officials warned that the current supply would be stopped last year by the village secretaries Rs 60 lakh due were paid. This is the last time. Then there was not a single paisa. Are the dues now going to be issued? There are warnings from the village secretaries that the power supply should be stopped.Ebrahimatnam Adi Shamprasad said that the electricity supply should be paid every month and the electricity supply will be stopped if the dues are not paid.